With an Introduction and Notes by Keith Wren, University of Kent at Canterbury. Set in 1482, Victor Hugo's powerful novel of 'imagination, caprice and fantasy' is a meditation on love, fate, architecture and politics, as well as a compelling recreation of the medieval world at the dawn of the modern age. 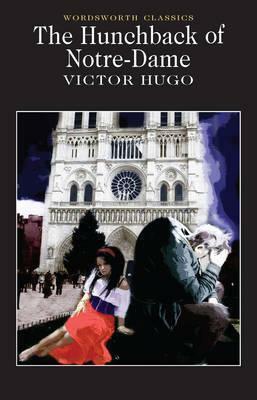 In a brilliant reworking of the tale of Beauty and the Beast, Hugo creates a host of unforgettable characters - amongst them, Quasimodo, the hunchback of the title, hopelessly in love with the gypsy girl Esmeralda, the satanic priest Claude Frollo, Clopin Trouillefou, king of the beggars, and Louis X1, King of France. Over the entire novel, both literally and symbolically, broods the Cathedral of Notre-Dame. Vivid characters and memorable set-piece action scenes combine to bring the past to life in this story of love, lust, betrayal, doom and redemption.